UC San Diego was named the 15th best university in the world Tuesday in the prestigious Academic Ranking of World Universities. UCSD has been ranked in the No. 13-15 range since the list, now put out by the China-based ShanghaiRanking Consultancy, began in 2003. The rankings are based on the numbers of alumni and faculty winning Nobel Prizes and Fields Medals, highly cited researchers, articles published in journals Nature and Science, articles indexed in Science Citation Index- Expanded and Social Sciences Citation Index, and per capita performance. The top five schools were Harvard, Stanford, Cambridge University in England, the Massachusetts Institute of Technology and UC Berkeley. 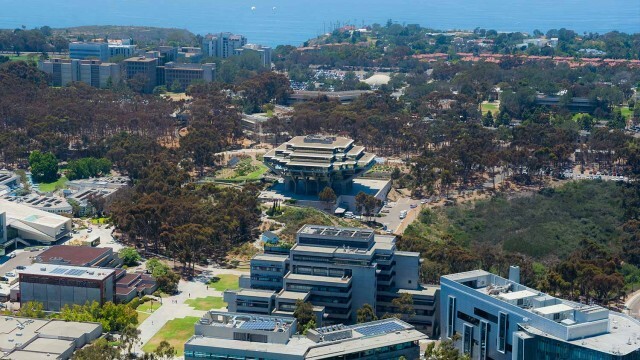 Only three public schools were ranked ahead of UCSD — No. 5 Berkeley, No. 12 UCLA and the No. 13 University of Washington. Other highly ranked schools in the state were Cal Tech, No. 9; UC San Francisco, No. 21; and No. 45 UC Santa Barbara. San Diego State University was lumped in with other schools in the 500-600 range.